Welcome to Royalty Care Home Health Services, Inc. If you had the choice to stay in a 5-star hotel, would you? Well the Medicare Compare star rating for Home Health Agencies is an even more important metric. Royalty Care Home Health Services has achieved the 5-Star rating two years in a row! Congratulations to my wife, Febronia and her team. 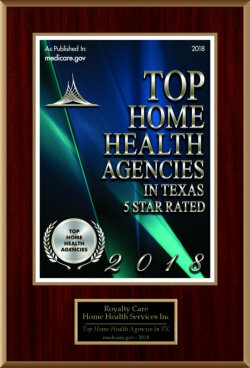 Royalty Care Home Health Services, Inc. has achieved 5-Star Ratings! The Medicare Compare Quality of Patient Care Star Ratings provides a single indicator of an agency’s performance compared to other agencies. Congratulations to my wife, Febby and her team! Royalty Care Home Health achieved the incredible feat of “no deficiency” in the Federal and State survey. She’s an awesome administrator. I’m very proud of her. 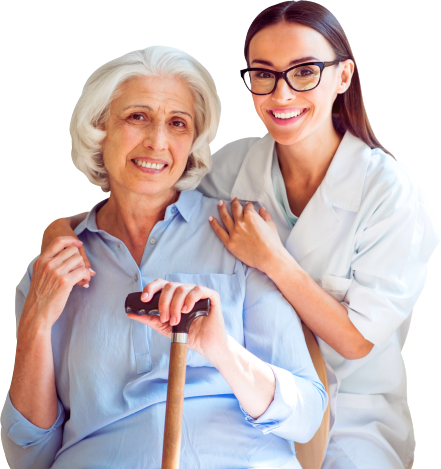 When it comes to your health needs, providing you with utmost care and attention is what we aim at Royalty Care Home Health Services, Inc. We believe that every aging individual deserves to live a quality life. Through our experiences and expertise in giving compassionate care and services, we can render top-notch assistance you most need at the comforts of your home. We look forward to serving you soon. The mission of Royalty Care Home Health Services, Inc. is to participate as an active part of the community in providing and continuously improving the home health care needs of the patients by delivering value-driven, high-quality, and compassionate care. Know someone who needs our services? Refer them to us. What do you think of our services? We want to hear from you. Check out what insurances we accept. Get to know our skilled and well-trained staff members.